Mamaowl's Mess: Bead Soup Blog Hop Reveal Day!!!! 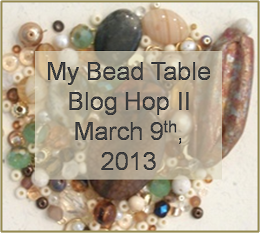 Bead Soup Blog Hop Reveal Day!!!! I used everything but a couple buttons and the sari silk. Cute creations...love what you did with the owl...nice job! Ahh, I see - you also got an owl focal. Nice composition and great colours, my dear! I’m in the third reveal. Can’t wait. You know everyone is going to be jealous of your awesome owl necklace now! super soup and super pieces!congratulations! Lovely bead soup! 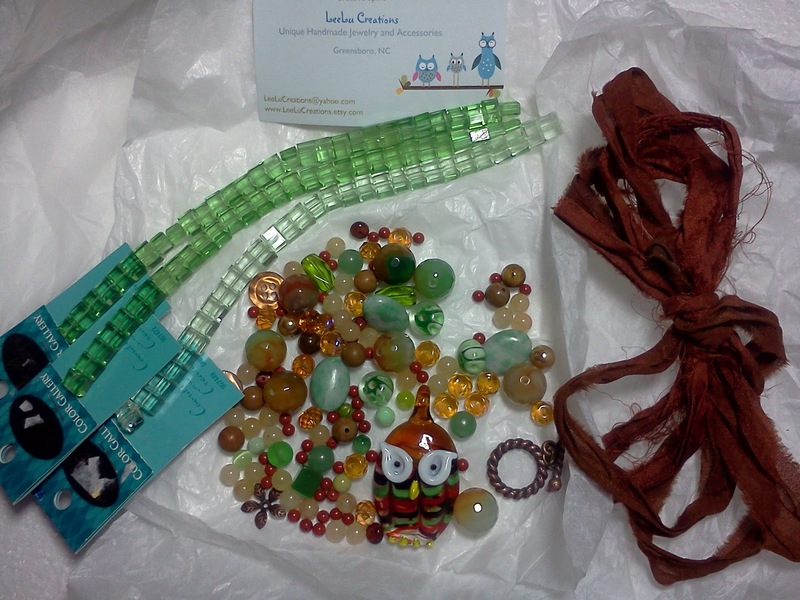 Love the necklace with the Awesome owl! Oh that quirky little owl. Adorable ! But... accident ? Are you okay, darling ? What I can see is beautiful. Would love clearer photographs and close-ups. It looks amazing and would love to get a closer look. I do love the color palette and that owl is so cute. Great job! Love how the owl's eyes are just looking at me.. LOL Great job. love your pieces. Beautiful! So feminine and full of the joy of Spring! Accident? Hope all is well! Love the owl focal!!! Nice job! It's a real accomplishment to use a majority of your soup. Great looking collection! that owl is so cute! Nice necklace. You done good! 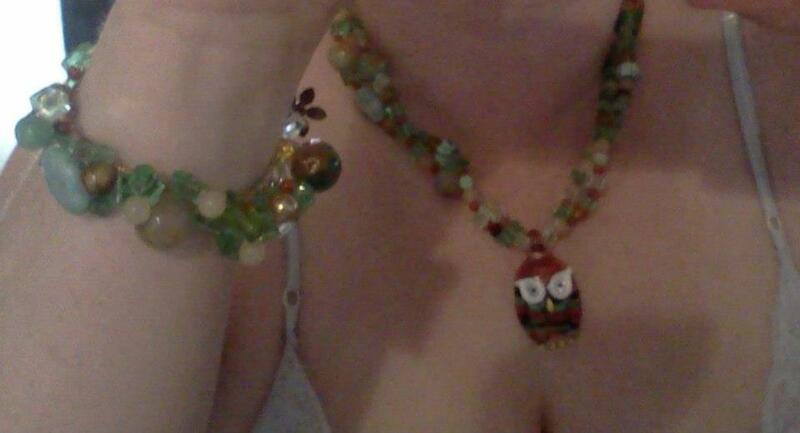 Love the little owly necklace. Great job to have used most of your beads too! Very cute the owl is adorable. Love what you did! The owl is so cute. Super cute owl pendant, great job! Very nice set the owl is so cute! Very pretty necklaces and bracelet....love the colours! I love the owl necklace!! They're both beautiful and they can be worn together. I love that Mama Owl was sent an owl. The set is really fun. Hope you swiftly recover from the accident. I also hope you have a great support system to help you get things caught back up. I know how devastating to the time table in your head an accident can be. Annette, I love it, both pieces! Girl, i had dra-ma so I haven't yet been able to post. I blogged about it a little, if you want to stop over. Great job! You did well! Pat yourself on the back, and smile! Love the owl necklace, Annette. Would love to see a closeup pic of your pieces. hope all is well. you did a great job! Cute! The owl on the necklace is a darling touch. Good job using your soup. The owl is sure cute. Anitra was my partner last BSBP. I got an owl from her too. Very cute! I love the owl! I love the necklace with the owl pendant. Nice pieces.